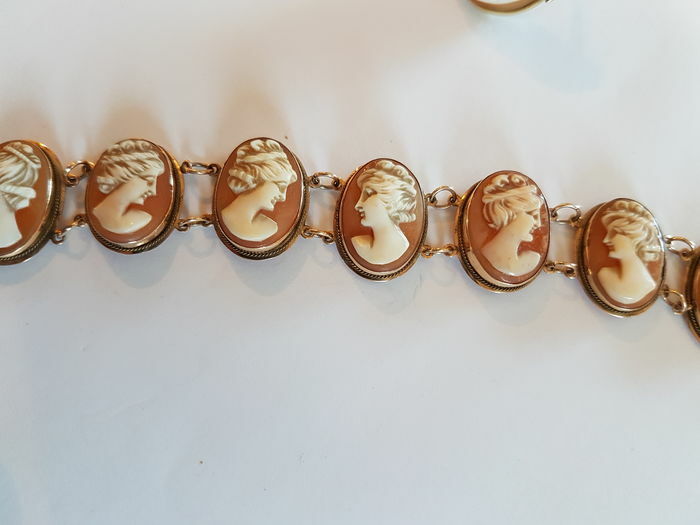 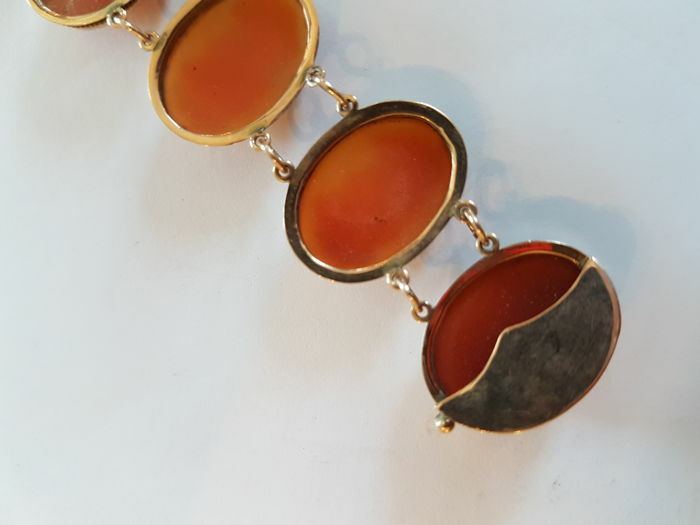 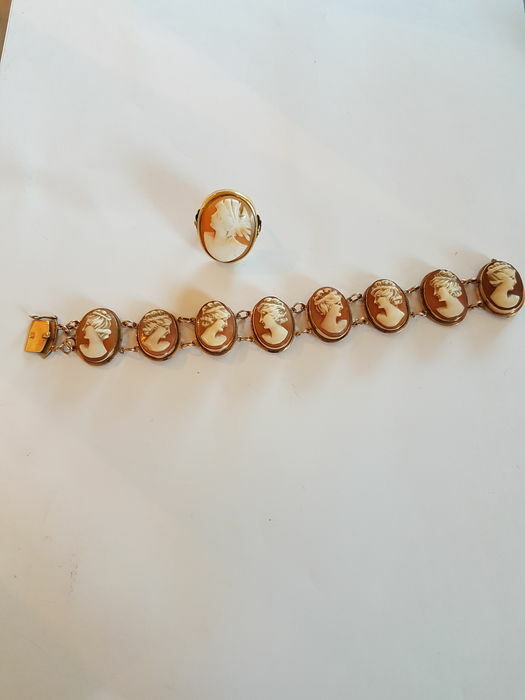 Set (bracelet + ring) – Yellow gold and shell cameos – 1950s. 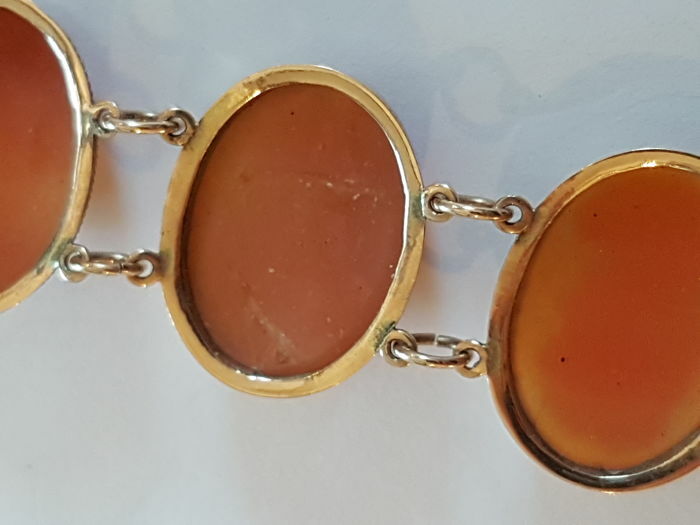 Bracelet: Length 17 cm, height 2 cm, 16 grams. 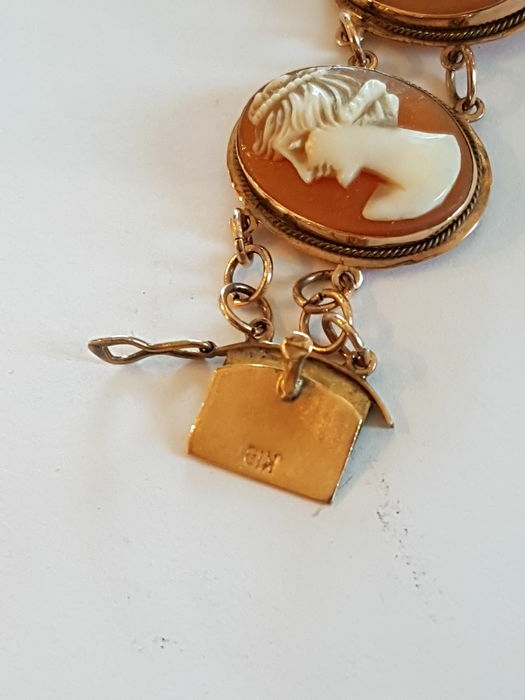 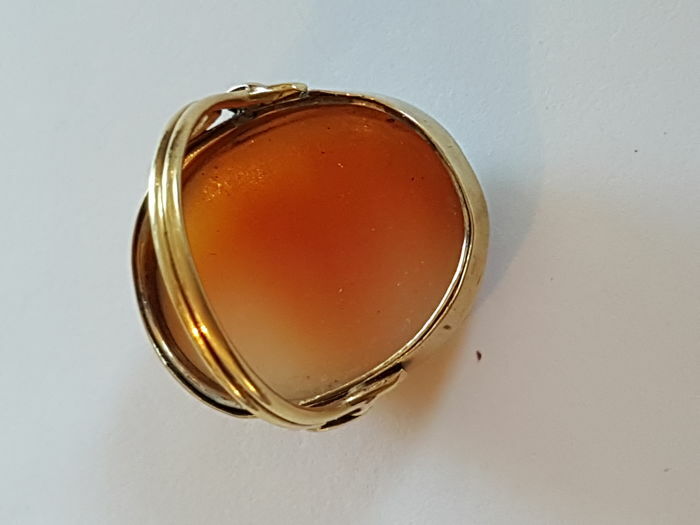 Ring: Size 17.5 – 7 grams – Cameo 2 x 3 cm.